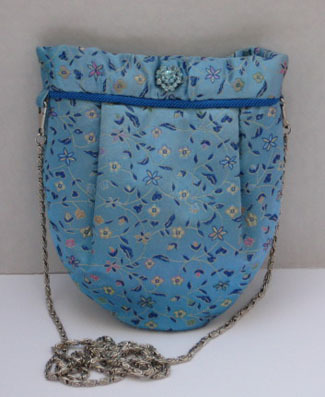 Bag is made of silk chinese brocade, with magnetic snap closure. Self-lined. Embellished with crystal brooch on outside of bag. Size is approximately 7"1/2" L x 6-1/4" W with 46" chain strap.